I just formed my LLC in September of this year. I have yet to make a profit due to still trying to purchase necessary equipment, etc. Next year, if I have still yet to make a profit, what do I do in terms of filing my taxes for the LLC? Also I you don’t make a profit from your LLC, do you pay taxes on the money you put in the business? I’m assuming that your LLC is not taxed as a corporation. In that case, you are going to report a loss for your LLC for this year, and take a deduction on your 1040. Next year, if you make a profit, that profit will flow through to your 1040 and increase your taxable income. 1. Keep track of all your business revenue and expenses–this includes keeping all your receipts. 2. Enter this data into Quickbooks. If your LLC has a loss (revenues – expenses = a negative number), then you not only don’t have to pay taxes, but you get a deduction for your LLC’s losses on your personal tax return. Money you put into the LLC in the form of a capital contribution or loan (e.g. the startup money you put in the LLC) is not “revenue” for the purposes of the calculation above. If the LLC pays interest to you (or anyone else) on money lent to it, then that interest would be deductible as a business expense to the LLC. The recipient of that interest would report it as interest income. Below you will find the most common tax forms needed to report your LLC’s profit/loss. This is your standard 1040 individual tax return. Because you’re a single member LLC, you can’t use a 1040-EZ, which is reserved for tax returns that don’t require the additional schedules. 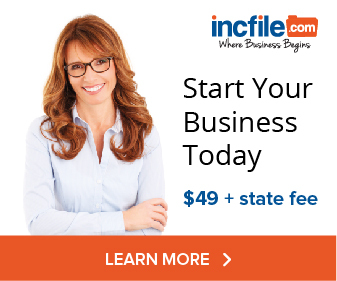 As a single member limited liability company, you will need to file additional schedules such as the Schedule C and Schedule E.
As a disregarded entity, your LLC doesn’t report its profit and loss in a separate filing. Instead, your business’s revenue and expenses are recorded on a Schedule C, which is attached to your Form 1040. Self Employment tax –which is a combination of Medicare and Social Security taxes — often comes as a surprise to the newly self employed. When you work for someone else, employment taxes are split between the employee and employer. The employer pays half of the tax, and the employee pays the other half. You’re probably familiar with the employee portion of the tax. There are the withholdings labeled “FICA” and “Medicare”. You will pay FICA tax on the first $94,000 of wages and net profits from self employment. You pay Medicare taxes on all wages and net income from self employment. Any LLC that has more than two members, will by default be taxed as a partnership. The Form 1065 is the informational tax return prepared by all partnerships. Download Form 1065 from the IRS’s website. This form is basically a business tax return. You enter your revenue, expenses, and depending on your company’s size, additional forms related to capital accounts. Now, as a pass-through taxation entity, while the LLC files a separate tax return, it does not pay income taxes. Rather, each partner pays their share of the taxes owed (or gets to take a deduction if there are losses). The next form is used to do this. The K-1 form is prepared along with the Form 1065. The Form 1065 tells the IRS how much total income or loss the LLC made during the tax year. The K-1 tells each member the share to the total tax that they have to pay. Each member will be sent a K-1, and the IRS gets a copy as well. The K-1 is similar in effect to the 1099. Reducing taxes and limiting personal liability are the two primary reasons for forming an LLC. While incorporating cannot eliminate taxes (unless you make no money! ), choosing the right entity can have a dramatic impact on the amount of tax you pay. Choosing the right entity for your business can have huge tax implications. Even worse, switching entities after you’re business has started can cause huge tax headaches. The LLC has the great advantage of being “tax” neutral when changing corporate forms. Learn about the difference corporate forms and their tax implications before you commit. Avoid the corporate double tax with an LLC. Learn the important differences between the S-corporation and the LLC, particularly the limitations of S-corps on the number of shareholders. There is no duty for a citizen to pay more in tax than their minimum legal obligation. Are you using every deduction you’re entitled to? Do you even know which deductions you’re entitled to? Do you have a system for tracking your deductions and keeping your receipts? If you answered “no” to any of the above questions, you could be overpaying taxes by thousands. Unrecorded deductions are the main reason for small businesses paying too much tax. Learn how to get your accounting in order and maximize your deductions. We found some intriguing results when comparing tax audit rates between individuals filing as Sole Proprietors on a Schedule C vs. LLC members filing a 1065 partnership return. 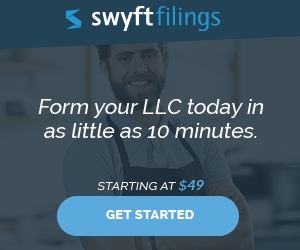 Can you really reduce your chance of an audit by up to 90% simply by forming an LLC? The truth about taking business tax deductions. Have Your LLC Tax Questions Answered. Ask your LLC tax question here, and I’ll answer it right on this site. No obligation, nothing to buy, no email address needed. Because your question will be published on its own page, please don’t give your full name, phone number, etc. Does LLC protect a business in a divorce? This is Mehul again. I am an owner of a Single Member LLC, which is currently operation as consulting firm. I know single member LLC treated as pass through. But what about husband and wife filing jointly. How do we file to get the pass through? What Tax Forms for an LLC is used for Rental Investment Property? I started my LLC in 2008, and I got an EIN for single-member. Now I need to add my dad to the LLC. So, I am going to get a new EIN. With a single member LLC the questions here are concerning most of the times how to “pay yourself”/how to get money from the LLC bank account.